It was cloudy and Teresa was driving the rental car. 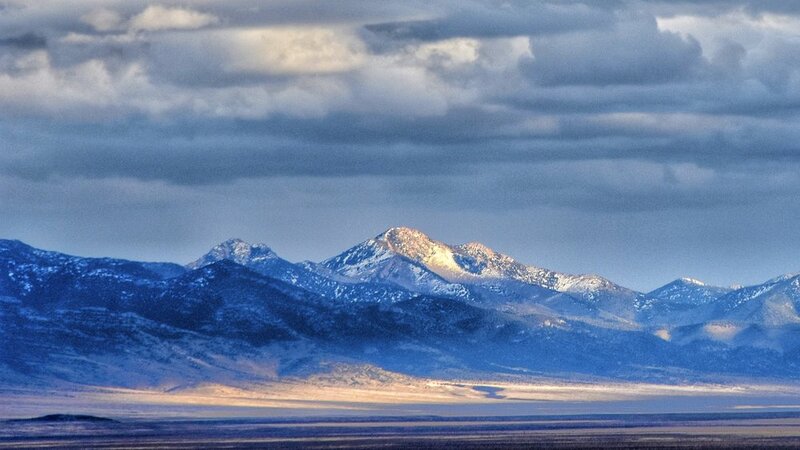 We were in Nevada and at places, the clouds allows rays of sun to create some interesting shadows across the mountains. This shot captured that well. I love the highlights on the top of the mountain, as well as across the valley floor . Some of the best photos are simply a matter of using nature’s lighting (and shadows) to create awesome effects on the landscape.